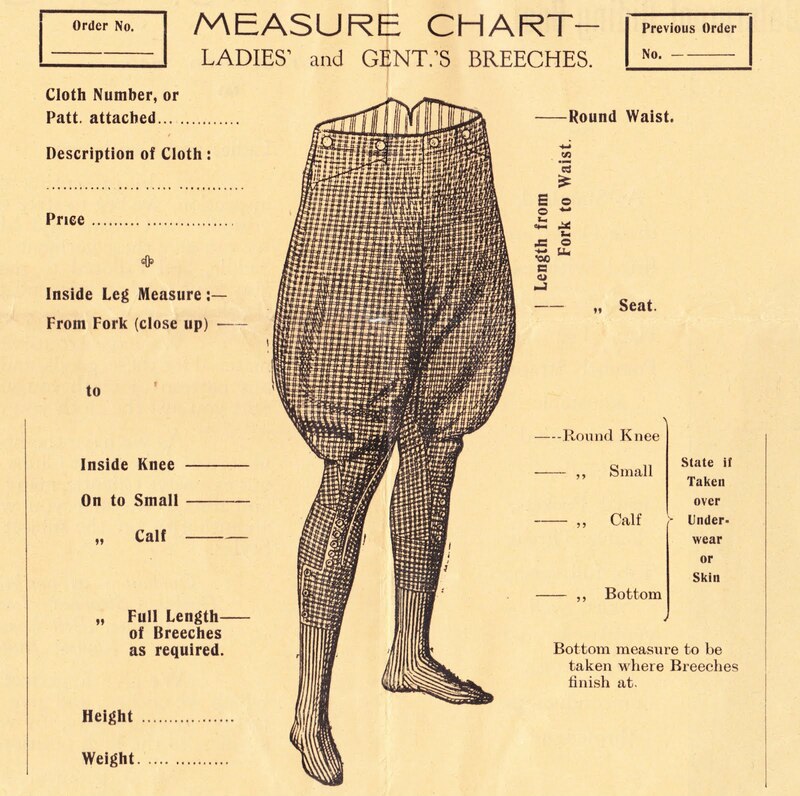 "In presenting this Folder to you for your kind inspection, we beg to state that as Master Tailors for over 80 years in the Cutting and Making of garments in Riding attire, we can give these garments in the Latest Styles, comfortable in Saddle, and Tailored to merit your custom in the future, and also your good recommendation to others, for which we would thank you." "As we have the honour of being official Tailors to the majority of the Hunt Clubs at home, and can number amongst our extensive Clientle [sic], many of the foremost Equestrians at home and abroad, we offer you with every confidence our services as an authority on the subject of Riding Garments in the Latest Styles." 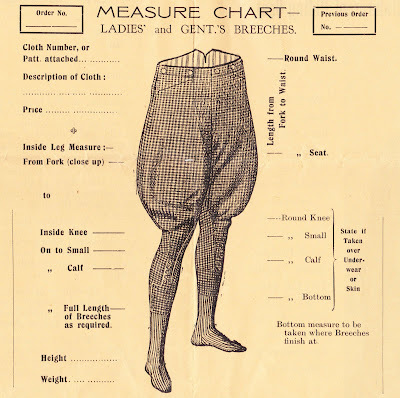 Products included jodphores, breeches, leggings and a waterproof riding coat. All could be ordered and tailored for men or women. Pictured below is the illustration of three kinds of leggings sold by J.C. Savage -- Brooklands, Malton and Canvas. Regarding the leggings, the brochure states: "We recommend your Leggings to be worn with Riding Boots (which extend approximately three inches above Ankle longer than walking boots), and to measure Length of Legging short, so as not to reach Ankle. In this way your Leggings last for years." 1. 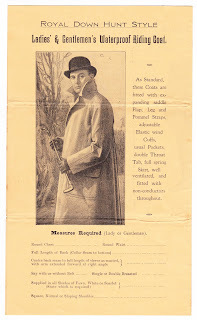 There is little available online about J.C. Savage and its history, but I did find one small advertisement in a 1935 issue of Esquire. 2. 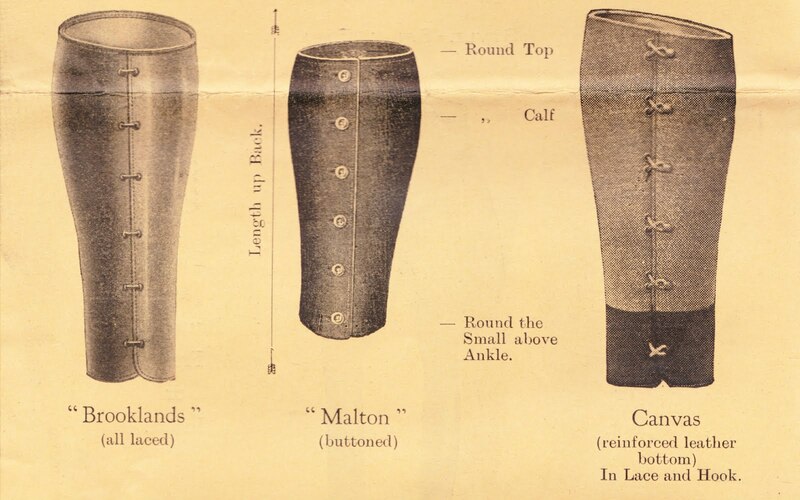 Please read these quietly to yourself in an Irish brogue. 3. Ulster Bank does a great job of putting its company history online. There's a 4½-minute video on the Our History page and the Our Story pages describe the company's narrative from 1836 to present. Also, Ulster Bank is now a wholly owned subsidiary of The Royal Bank of Scotland Group, which has a fantastic history and heritage website. My eye caught this phrase and it made my brain stumble. "Remittances payable to J.C. Savage, and crossed Ulster Bank, Carlisle Circus, Belfast". I know that "remittances payable" is old-fashioned code for check, but I've never run across the phrase crossed, even in my brief, but tortured stint, as a bank auditor. Research indicates that it is a banking practice found in Europe, Asia, and other places but not the U.S.
To cross a check, you draw two parallel vertical lines across the face of the check with various notations between the lines, each meaning something different. At this point the check cannot be cashed, it must be deposited. If a bank name, as requested by J.C. Savage, is included in the lines, it's even more restrictive indicating that the check must be deposited to that bank in order to get payment. Very similar to the U.S. endorsement "For Deposit Only" except that the safeguards are made by the person writing the check not depositing the check. This was my Grandfathers shop! Lovely to find this! My late husband J.C.Savage was a teenager when shop closed after the war when business was badly affected.I have some memorabilia from shop including name tags which I used for my son when at school(also J.C.Savage).Have cheval mirror from shop and photos from satisfied American customers.Was told General Patton was one of them.